Poetry from a butterfly in the Garden – New Book! 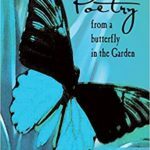 Magical, mystical and wonderfully woven this imaginative poetry is written by a butterfly in the Garden who is inspired by the sacred Spirit found in the world of nature surrounding us all. These profound and provocative musings will awaken in you a greater awareness of your own soul’s butterfly wings . . . Enjoy your flight! MORE BOOK SIGNINGS WILL BE ANNOUNCED SOON. The physical book is available through Amazon here. The kindle version is available through Amazon here. Tune-In to the Answers Surrounding You! There are symbols in the world that are read and understood as a Universal language. Sign language for the deaf is an internationally understood form of communication. There are mathematical symbols and equations recognized by all peoples that describe and ‘speak’ of the potential energy in all things… E=mc2. We have chemical formulas made out of letters and numbers that mean the same thing to everyone on the planet regardless of what ‘language’ you use in your own life…such as H2O. Your Creator does the same with you. The Divine Source surrounding each of us attempts to communicate with you every day using colors, numbers, music, words, patterns, coincidence and animals in way that is unique to every individual. What does the color yellow mean if it keeps showing Up in your life over a few days? What if the color is purple? What does it mean if you keep noticing 11:11 on your digital clock; what if it is 4:44? What is God signaling to you by the butterflies, owls or deer that are sent your way in pictures, symbols or even television commercials? The music playing over the radio, the receipt at the grocery store, or the unusual email received from “out of the blue” just when you needed it most can be your Creator using Godsign to speak directly to you. It isn’t whether or not you are being ‘spoken to’ by God – you are. It is whether or not you see and listen to the GODSIGN surrounding you in the space you find yourself. You Creator is already there. Pay heed to coincidence, for Life’s game is at play. Nothing just happens in a haphazard way. Events are not random that make up your day. We’ve all had the moments pieces falls into place. A brutal tragedy is defeated by a saving grace. Your book falls opens to the needed page. Opportunity knocks as if cued to the stage. Perfect music is scored, defining an age. leaving the devout even questioning belief. There at a sign is perceived, a message comes through. A Spirited hello, with much love sent to you. One heals with the salve of knowing what’s True. Timing is everything isn’t uttered by nuts. The chance in encounters is anything but. Fortune’s luck of the draw begins with the cut. options to opt from, an opinion to voice. The freedom to hate or in love to rejoice. You create your destiny one day at a time. and lousy can happen as life turns on a dime. But in Always there’s purpose to this grand façade. Fate has built empires, history changed with a nod. A design to the universe, the Blueprints of God. Two events coincide to give you a clue. Especially when dropped right out of the blue. Heaven sent you direction, a suggestion or two. The Plan’s so much grander than most mortals believe. with the love and the knowledge that what will be will be.